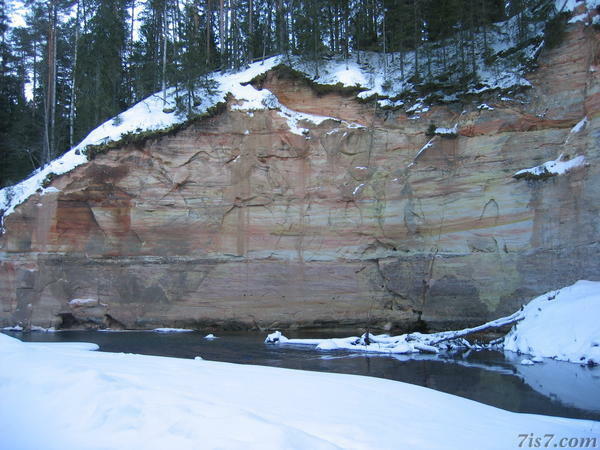 The river Ahja has carved its way through the sandstone in south eastern Estonia, leaving these carved out sandstone cliffs in Taevaskoda (Heaven's Hall). 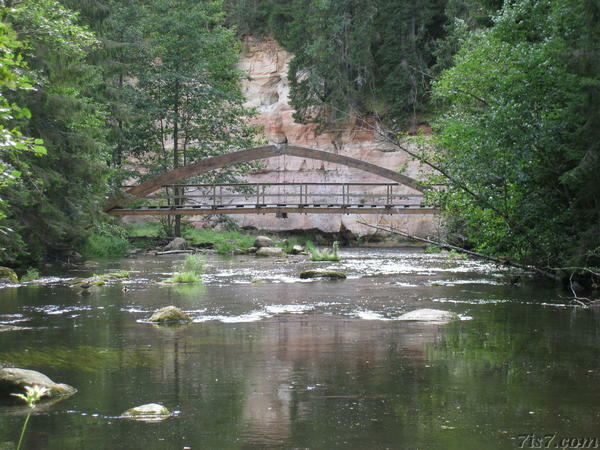 There are two sandstone outcrops in Taevaskoda, Suur Taevaskoda and Väike Taevaskoda (Big and Small Taevaskoda respectively). 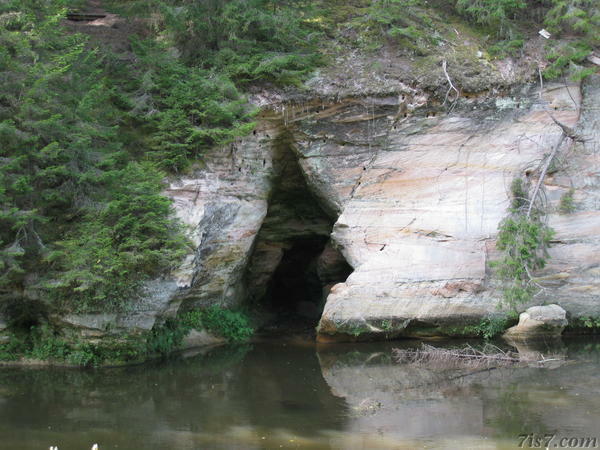 Small Taevaskoda (Väike Taevaskoda) has two well known caves; Mother Spring Cave (Emalätte koobas) and Virgin's Cave (Neitsi koobas). 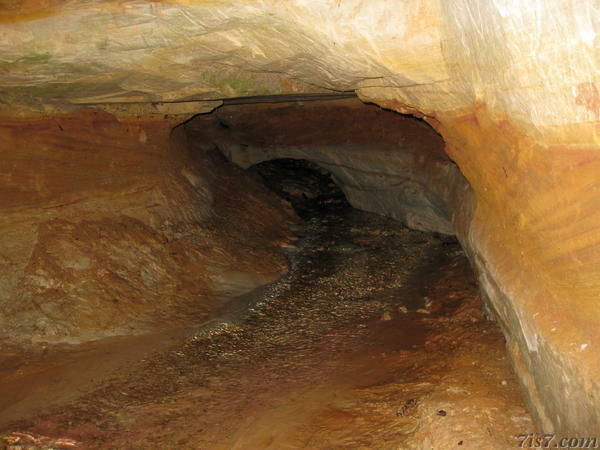 Neitsi cave is 5 meters high and 14 meters. Emalätte cave is a source of cristal clear water. Location: 58°6'28"N 27°2'59"E on: Google Maps, OpenStreetMap, Maa Amet.